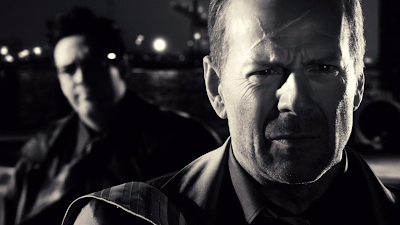 Overview: A film adaptation of some stories from Frank Miller's Sin City, a neo-noir comic series. I had read one of the stories in Frank Miller's Sin City, but the one I read didn't show up in the movie. In any case, I felt the movie captured the essence of the graphic novel it was based on - of course it probably helped that Miller was one of the directors. The action and killing was purposely over-the-top, and this was awesome. In particular, the over-the-top style was fitting to the source material. 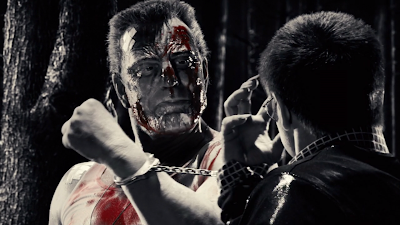 For those who are worried about blood and gore, I observed that anything overly graphic would be shot in black-and-white or reduced to blood splatter with the graphic image left implied and off-camera. So if you haven't seen this movie and enjoy action and/or copious amounts of fake blood splatter, then this movie is a must watch. If you just like action movies, then you might find some enjoyment here, but perhaps not. Personally, I would recommend you give the movie a try. 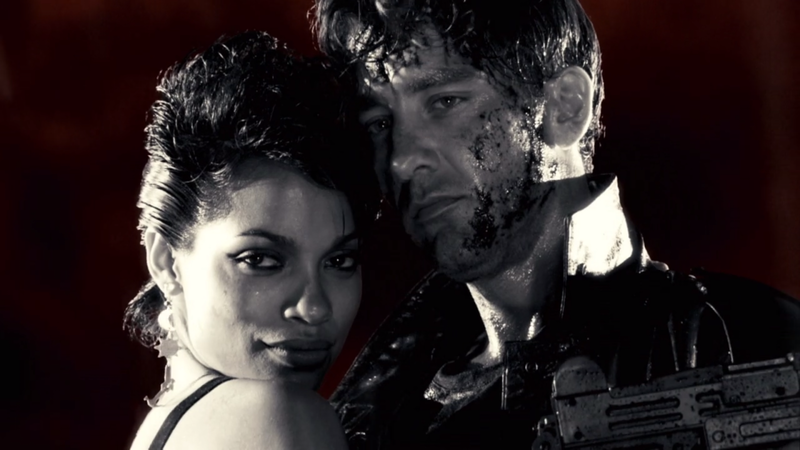 And last, but not least, this movie probably leans towards being a guy movie, but I'm not one to define barriers (if I, as a man, occasionally enjoy musicals and romances, there will be women who will enjoy Sin City). During the opening titles, the names of the actors and actresses appear in front of their corresponding graphic-novel-depicted characters. I watched several of the special features. I'll have to go back and see which ones. I watched this with my friends today, but it appears I didn't take any notes. 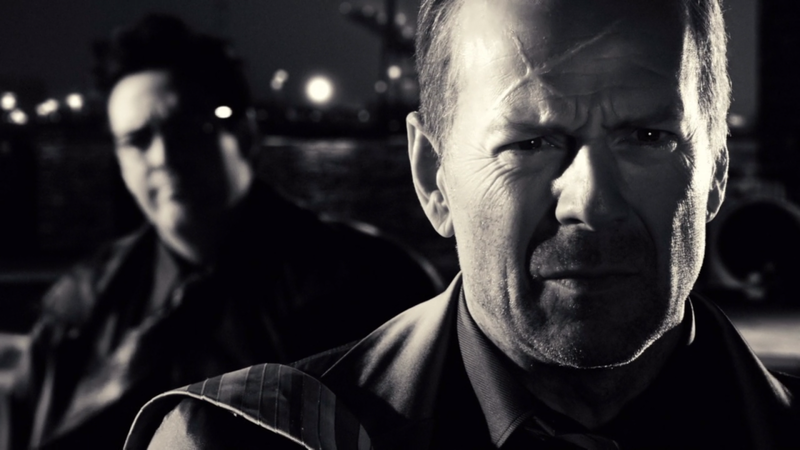 While exaggerated actions and motions can often distract me from the movie experience, I enjoyed their usage in Sin City. For example, there's a seen where a character Dwight needs to fit some bodies in the trunk. He tells another character named Miho to help. Then he brings his hands up and brings them down in an exaggerated motion, picking up a body so she can slice it down. Something about that exaggeration just feels right in context of this movie. "Kill him for me, Marv. Kill him good." "Is that the best you can do you pansies?" "Shut up and keep your hands to yourself or I'll cut your little pecker off."